O2I offers EHR services, workflow management, practice management, billing/claims management, and many more services to global healthcare institutions. 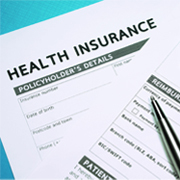 Are you facing immense pressure in today's tough economy with rising healthcare costs? Hospitals and clinics are exploring ways to increase productivity, reduce wastage, manage resources better, and meet patient needs effectively while also remaining competitive in the market. If you need customized technological solutions that can work in complete alignment with your practice in order to boost performance across multiple locations, optimize clinical workflows, enhance efficiency and increase patient satisfaction your search ends with us. 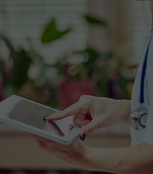 Outsource2india understands challenges faced by the healthcare institutions and brings a wide range of EMR solutions that are easy-to-adopt, completely customized, well-integrated, and extremely cost-effective. We have been successfully providing a complete spectrum of EMR services in India for over two decades. We can help simplify your clinical processes at a high return on investment (ROI). 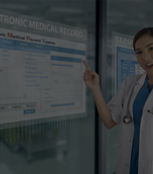 When you outsource EMR services to us, we take care of complete electronic health records management by implementing technologies, workflows, templates, and processes for streamlining data capture, generating reports and dashboards, preparing standardized formats and best practices for condition-specific patient care, and reducing redundant activities in order to optimize the clinical workflow. O2I also takes care of billing, collections management, eligibility management, and more so that you can process more patients within a shorter timeframe. We make sure that your organization is integrated with Health Information Exchanges, labs, pharmacies, etc. We bring accuracy and structure to the whole process of electronic records management. There are hundreds of tools and technologies available for EMR management, but we have noticed that healthcare professionals find it cumbersome to implement and customize the right technologies according to their practice needs. Most solutions require a number of alterations in order to meet the clinical requirements of different institutions. Outsource2india has worked on almost all types of EMR technologies available today. We have seen how they work in the real world and what are the pros and cons of each tool. By combining this with our expertise in software development, we can help identify the right mix of solution for our clients and help them completely customize it to meet their specific style. O2I can design and develop custom EMR software from the ground up. 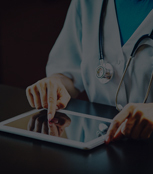 Our software would enable you to record, access, analyze, integrate all the medical information to drive greater efficiency, collaboration and productivity across your healthcare institution. Our custom EMR software comes with templates defined by you to meet the needs of your unique clinical workflows and support your staff with everyday decision-making. We build all-encompassing solutions that are 100% compliant with medical standards and guidelines. O2I understands that each practice and healthcare institution is different. While defining the workflows, we keep in mind your unique clinical preferences and offer a completely personalized solution that mirrors your practice style. We develop workflow automation solutions wherever needed in order to reduce redundancy and make the process more optimized. A well-defined workflow can increase productivity, reduce resource wastage, ensure compliance, improve timely patient care, boost collaboration, and accelerate revenue cycle. Healthcare institutions need to work in collaboration with all the stakeholders, locations, departments, and networks. O2I develops seamless connections between hospital networks, pharmacies, labs, radiology or imaging providers, insurance agencies, referral providers, health information exchanges, immunization registries, and several more agencies. By working in-sync with all the external agencies, healthcare institutions can reduce collaboration time and cater to the patients faster. 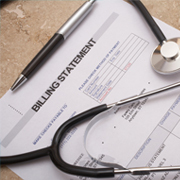 We develop processes for efficient billing management and claims management. We design easy-to-use functions so that your staff can effortlessly manage billing functions while we handle the backend. We make sure that there is no revenue leakage and all the billing is on time. We also create revenue reports and analysis so that you can take administrative decisions with confidence. O2I can help you with fee schedule management, enrollment, eligibility verification, claims submissions, insurance posting, follow-up, denial management, and forecasting. Why Should You Outsource EMR Services to O2I? Outsource2india is an ISO 9001:2015 accredited EMR services provider based out of India. Our global delivery centers offer a reliable way for you to capture and utilize patient data in an efficient manner. We are backed by 20 years of experience and have what it takes to deliver on promises. We understand that medical data is highly confidential. While outsourcing EMR services to us, you do not have to worry because we have an ISO/IEC 27001:2013 accreditation for handling your data with care and concern. When we deploy a team for your tasks, we clearly define access controls and give role-based access authorization. We continuously monitor the team activities and all the data goes through 256-bit SSL encryption. We have appointed dedicated quality assurance experts who ensure that the entire process is optimized and there are no errors. They constantly monitor the quality to ensure compliance with client needs, as well as, international medical standards, codes, and norms. With our offshore EMR services, you get faster solutions for the operational challenges faced by your practice. We have refined processes for attending to client needs and our experienced team brings years of knowledge to deliver well-rounded solutions quickly and cost-effectively. The EMR services we offer are scalable and we can provide as little or as much as you need. Just get in touch with us specify your needs so that we can scale up or down accordingly. Our global delivery model is not only faster but also highly cost-effective. Our clients achieve 40-50% cost reduction by outsourcing EMR services to us. If you have queries or concerns that require immediate attention get in touch with our dedicated agent so that you can be hand-held through the process in an efficient manner. O2I offers a world-class team of licensed medical professionals and qualified resources who are well-versed with various categories of drug codes and compliance standards. Our team is familiar with HIPAA compliance, MIPS/MACRA Compliance, and Medicare Part D. We provide continuous training to the team on various EMR tools available in the market and they are more than capable to handle all your needs. We have hands-on expertise of working on a wide range of latest infrastructure and technologies for cloud, hosting, security, software development, data management, implementation, support, customization, data migration, integration, accounts, transcription, and more. Whatever be your requirement, we are confident that we can build a solution with the latest technologies available in the market today. The data we transmit through secure FTP and VPN are less vulnerable to breach and security risk than via the traditional channels. This is because we employ dedicated network protection experts to eliminate all possible risks that manifest during the operation. O2I provides offshore EMR services that are available 24/7/365. We offer great operational reliability and you can trust us for quick turn-around and efficient services. We make sure that your team and project manager works in the time zone of your choice. Our client had successfully negotiated with other insurers surrounding EndoPAT coverage based on the research data extracted by O2I on DME products. Outsource2india modernized the client's EHR system. We processed 3000 sperate cases and transcribed every data into a required format. Hi, I am pleased with the support. The response time and communication are fine. Knowledge of billing and claims is excellent. All the best! Healthcare institutions across the globe have selected O2I to outsource electronic medical records services in India. 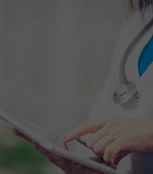 We have been serving medical professionals, clinics and hospitals for over 20 years with highly reliable and professional EMR services as well as a host of other healthcare BPO services. Due to our multi-faceted experience in a wide range of medical specialties, tools and technologies, and medical standards, we are able to deliver quick and compliant solutions for any kind of EMR-related challenges. Our services are highly flexible and customizable, and we offer unmatched capability in delivering excellence. Contact us today to take your EMR management to the next level of efficiency and optimization.